My Interests: Visit my work at the following sites. Stop by, say hello and join me for a cup of virtual coffee! » Sandra has designed a comprehensive line of greeting cards which includes all occasion and seasonal cards, as well as religious and specialty niche market cards. The variety of styles range from simple to elegant, whimsical to inspirational, and chic to country. 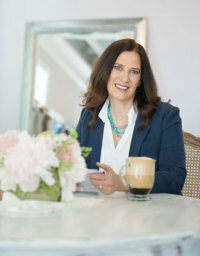 As founder and primary designer, Sandra Rose Hess is the founder of Sandra Rose Designs and has been creating greeting cards since 1999. She is a professional graphic designer who combines her talent and creativity with her passion for designing cards that are tasteful and unique. Her personal touch and desire to help people connect through the messages and images on these cards, has always resonated with her customers. She also creates custom cards for store owners, individuals, professionals, and organizations in specialty niche markets. Her cards can be found in stores across the country, including larger greeting card stores, internet-based stores and gift/book shops. Hi Sandra I bought 'thinking of you on your 7th birthday' for my grandson today and was really impressed with how easy it all was. What a brilliant card shop and so many to choose from. Today I bought and sent your "Broken Arm Bear Get Well" card, because it was just what I needed. Thank you! Sandra, your card shop is wonderful. Thank you for your past comment on my card shop as well. Have a good day. You have such a great selection of cards in your store. I wish you many sales and much success! Sandra, your cards are always so lovely. I was at mass Sunday when Father announced that a 85-year-old long-time attendee of our parish baptized in another Christian tradition decided to join the Catholic Church. He was confirmed and made his communion. I was so moved with emotion at the joy on his and his wife's faces when he partook in his Very First Eucharistic Banquet!! There were noooooo cards in the store to adequately convey my sentiments (and I refuse to send online cards for moments like this!!). Sandra Rose's "Confirmation/Communion" card said what I could never have said....AND I was able to add my own words. THIS gifted artist provides a unique, valuable service. Have you seen the horrendous cards out there for $5 to $6???? It's ridiculous. For a fraction of what I would have paid I got a piece of art and words from the soul !!! THANK YOU SANDRA !!! Thanks so much for your kind comment on my DOD Easter card :) I'm a big fan of your cards and congrats on YOUR recent Baby Shower dod! Love your cards, they are just so cute and stunning to look at :) Keep up the good work. Congratulations on Your Design Of The Day! Beautiful cards, my favorite in your Just Checkin In Puppy card. Best wishes and lots of sales! I have often admired your cards Sandra, such lovely designs and a beautiful store! Your cards are very cute. I love the way you can make the subject of your cards come alive. So wonderfully distinctive and so quietly powerful. A delight to see. Gorgeous collection of beautiful cards!! Thank you for the card review! You have a lovely collection here ... Good luck to you! Simply wonderful, all of them! Love the wedding collection!